It all started with Silk Road. Silk Road was an online marketplace for illegal drugs which operated in a hidden network called Tor. Online users had been able to browse hidden networks, like Tor, anonymously and securely without potential traffic monitoring. It was part of what is now referred to as the “Deep Web.” Silk Road was sometimes called the “Amazon.com of illegal drugs”. In February 2013, the FBI shut down Silk Road and arrested Ross William Ulbricht, its founder on charges of alleged murder-for-hire and narcotics trafficking. Ulbricht pled not guilty in a Manhattan court on February 7, 2014. Since the closing of Silk Road, there are dozens of new sites and dealers that have popped up serving a growing consumer base. There is even a search engine that carries reviews of all drug dealers. 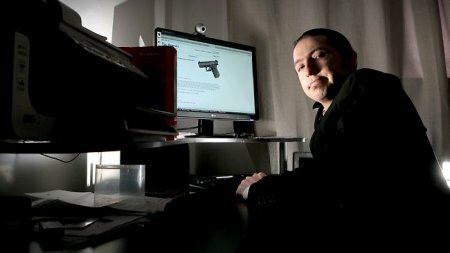 In addition to drugs, a host of other illegal products and services are for sale in the “Deep Web”, such as forged documents, secret foreign bank accounts, money laundering services hacking techniques phishing and spam tools, anonymous mail drops and weapons. Law enforcement will be reviewing these new sites and searching them for evidence which will ultimately be turned into indictments for various state and federal criminal charges. These sites are most commonly used in the European Union, but have started to take hold in the United States too. International law enforcement is pulling out all the stops to stop these illegal markets. Initially, the “darknet market” was a creative way to peddle illegal products and/or services. Law enforcement has caught up with the marketplace and you can never be certain that your online activities are not being watched, monitored or investigated by law enforcement. If you, or someone you know, is being investigated for or accused of a computer-related crime it is important that you have legal representation that is familiar with the laws that relate to computers, the internet and cyberspace in general on both a state and federal level. The attorneys with LEWIS & DICKSTEIN, P.L.L.C. have extensive experience in computer related crimes, and have access to experts in all areas of computer science to assist, if necessary. If you have any questions, please contact the attorneys at LEWIS & DICKSTEIN, P.L.L.C. at (248) 263-6800 or complete a Request for Assistance Form and one of our attorneys will contact you.